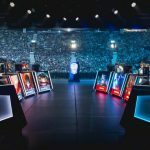 The LCS Spring post-season continues over the weekend with two sets of semifinal matches featuring the best teams in North America. 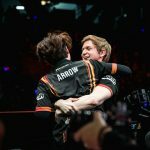 The first match will take place on Saturday in Los Angeles, California between Cloud9 and Phoenix1. The second match will be between Team SoloMid and FlyQuest. The winners will move on to the Finals in Vancouver. 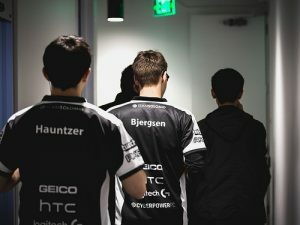 When it comes to compelling League of Legends playoff storylines, Team SoloMid has become a victim of their own success. 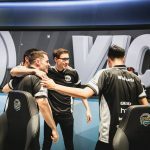 There’s little discussion about how TSM managed an impressive 15-3 split in spite of the sudden departure of LCS veteran Yiliang “Doublelift” Peng from the roster. There’s little interest in how 2nd-year support Vincent “Biofrost” Wang has quietly racked up a dominating 4.8 KDA, 2nd in the league, while relearning bot-lane dynamics with new AD Carry Jason “WildTurtle” Tran. 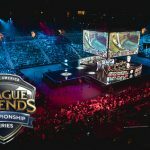 There is almost no appreciation of TSM’s potential to extend their current LCS record with a 9th straight finals appearance. 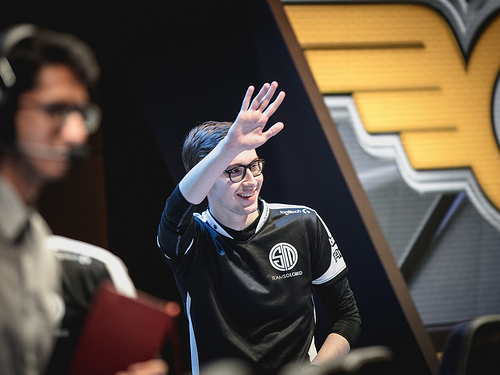 TSM has been so dominant in the NA LCS for so long that viewers have learned to take this team’s success for granted. FlyQuest, however, has been operating under a different set of expectations. 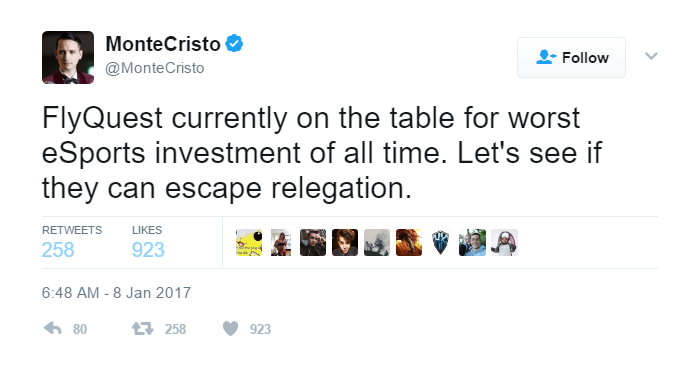 Depending on when you asked, this team was either doomed for relegation, destined for LCS greatness or completely overmatched in playoffs. 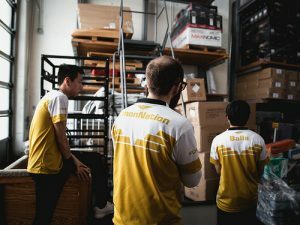 FlyQuest is the anti-TSM; every victory, no matter how minor, is spotlighted as an LCS esports “moment.” Right now, Hai “Hai” Lam, An “Balls” Le, and Daerek “LemonNation” Hart are building what could become a legendary LCS run, and every victory begs the question: how far can this team go? 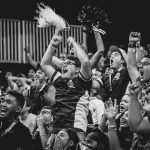 In spite of the storybook return of these LCS veterans, it is actually the FlyQuest “extras” who have contributed the most to the team’s success. Galen “Moon” Holgate, best known for his poor performance on Team Liquid and NRG, had the highest KDA of any jungler during the regular season, and a whopping 12.67 KDA during FlyQuest’s three victories last weekend. Fellow LCS journeyman Johnny “Altec” Ru has also far-exceeded expectations, sporting a regular season second-best KDA of 4.2. While some viewers may be tempted to hype the return of Hai vs Soren “Bjergsen” Bjerg, this match will be decided in the jungle. Dennis “Svenskeren” Johnsen has been in a slump this season, struggling to find the consistency he showed during TSM’s dominant run in the 2016 Summer Split. Balls and Hai will both be outmatched by first team all-pros Kevin “Hauntzer” Yarnell and Bjergsen, but Moon has done an excellent job of equalizing mismatches all season. If Svenskeren cannot find the classic TSM “playoff buff,” Moon’s impact may be enough to turn this series in favor of FlyQuest. Regardless, the battle is always uphill when facing a perennial LCS contender like TSM. 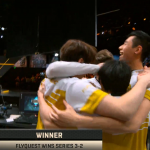 FlyQuest’s inaugural season has been nothing short of amazing up to this point, but an upset this week will require more than amazing – it will require a miracle.